Home buyers in Auckland, the Waikato and Canterbury will have plenty to choose from this summer with a big jump in the total number of homes available for sale in those regions, according to Realestate.co.nz. The property website's latest data shows it had a total of 26,943 homes listed for sale on February 27, up 3.2% compared to the end of February last year. That increase was mainly driven by big increases in the number of homes available for sale in Auckland +10.9%, Waikato +15%, Coromandel +13.3%, Nelson Bays +7.9% and Canterbury +10.7%. In Wellington the inventory of homes available for sale was unchanged from a year earlier while all other regions showed decreases in the number of homes for sale compared to a year ago. 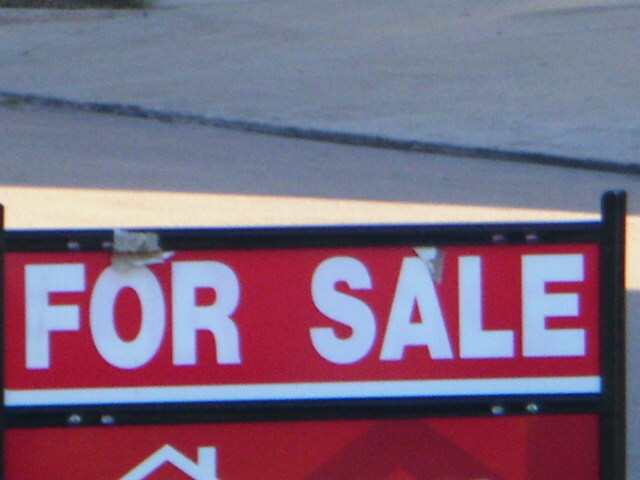 In the Bay of Plenty the inventory of homes for sale was down 3.2% and in Otago it was down 14.4%. In Central Otago/Lakes it was down 11.7%. However while the total number of homes available for sale was up compared to a year ago, the number of homes that were newly listed for sale in February was down in most parts of the country compared to February last year. That is consistent with data from other sources, which suggests the market is cooling - particularly in the upper North Island, with a growing stock of unsold properties and fewer properties coming to market as vendors' price expectations moderate. See the charts below for listing and inventory trends throughout the country. The 'Central North Island' chart will be drawn here. The 'Central Otago Lakes' chart will be drawn here. The 'Coromandel' chart will be drawn here. The 'Wairarapa' chart will be drawn here. Calling all bigger fools - RE Agents need you NOW! Yep. Some clearly realise that leverage can work in reverse, and on the way down its pretty ugly. Still reckon smart money exited and banked gains pre election. Time will tell. So if we assume higher interest rates are something that could shift the market, and the US plans to raise its rates by 1% this year. If US fed rate rises by 1% how much do we think the fixed rates/floating rates will rise. Because if it is anything close to 1% that would torpedo house prices which are already teetering. The next two years are going to be very interesting, but unfortunately, most likely very sad especially for FHB who have purchased in the last year and are highly leveraged. A conservative outlook; a 1% rise in interest rates will see those with a $600,000 mortgage scrapping to find another $240 cash a fortnight on top of their existing $1100 mortgage payments, while watching their equity most likely falling (even if price falls are a modest 3%, $21,000 on their $100,000 equity for a $700,000 home). Meanwhile, both long term landlords and property owners will weather the downturn (albeit short to medium term) having bought their properties at lower prices and most likely smaller mortgages. It would be interesting to understand how this measure has changed over time. It find it surprising that the number of listings was twice as high in 2011. I wonder whether, with increased use of internet to look at options, whether less sales are with agents, and whether there is less double counting of individual listings. Pity we cant use (or perhaps we can but I have no idea how to) emoticons when posting. The reality is, but all the better embellished (it would appear) with the underlying sentiment of the poster which personally I find detracts from what otherwise might be a reasoned point of view. But I guess that is just symptomatic of the degree of the perceived societal division that arguably prevails today. I would say sadly but Ill refrain from such an indulgence and leave it to others far more versed in the melodramatic or base affectations. "It was a significant public discussion and we didn't universally win it." "It's hard to be perfect on everything, and I'm simply suggesting that the public perception - certainly for those who voted for Greens, Labour, and NZ First - they had a perception that more needed to be done. We were doing it but conveying it publicly was hard." "We were pretending to do something whilst filling our pocketses and denying everything, but the public were too stupid to believe our lies and cover-ups. It's all their fault." The biggest credit bubble in our history is apparently a "sign of success" and "a nice problem to have"
I just about drive my car off the road when I heard Bill English spouting that nonsense. National have disqualified themselves from Govt for the foreseeable future. They need to go through a pretty intense period of introspection and rebuilding. Their "head in the sand" approach to housing and credit growth has lost them their credibility. He's simply telling people what they want to hear and want he would like people to believe. Is this guy for real?? "Its hard to be perfect on everything" but it sure seems easy to be pretty useless on most things doesn't it Simon. He's a lawyer and a politician, surely getting the message across should be a strong point? Dear lord, give me strength. More weasel words - let us see if there is a subtle shift back to JK's "affordability crisis" from when the last Labour government was in power. I still think all politicians should be shot as a service to humanity ( but that is a waste of good ammunition - perhaps garotting would be better). Regardless of whether or not it is a crisis, the absence of affordable housing is the biggest social problem facing New Zealand and it will have serious social consequences. Well, it's good that after nine years of power in which they consistently denied any such housing crisis exists, they've gone back to 2007 campaign trail John Key and started acknowledging an urgent housing crisis exists. How naive were we NZers to trust them to take action on their campaign promises? Eh, Foyle? Surely anyone with knowledge of politics knew they were just grandstanding. What I’m seeing in my network in Wellington is people who would be deemed wealthy by most measures unable to buy and unable to find affordable rentals in what were affordable suburbs. I have dug up this clip of our young politicians Jacinda versing Simon way back in 2010 and just 36 seconds into the video, Simon's narcisistict behaviour shows up when Jacinda was completely composed and completely ignored his behaviour. Simon, everyone heard it and most people would be able to read your lips! I can see now quite clearly why she is PM and he never will be. I'm down at the Shortland St auctions doing my amateur reporting job. Over 50M in homes on offer. Quite a full room. Let's see how things go. Probably a 50/50 mix of Asian and European audience members. People of Asian descent are disproportionately represented at auctions? Or are more likely to attend auctions in the centre city? Some readers are interested in these things and ethnicity is often mentioned in the threads concerning the buying of houses. I'm always very interested in people's backgrounds. When marketing or buying a property such things are worth considering. To be fair, it’s probably true to say a person of Asian descent is less likely to be a citizen as the proportion of people of Asian descent who are not citizens is likely greater than that of Europeans. Maori presumably are 99% citizens. Therefore, if you assume non-citizens are just as likely to attend as citizens, you can infer that the number of non-citizens present is higher when there are more people of Asian descent in attendance. Report back at your leisure. I'll have to Google what coming up for auction in 1071. Distinctively 50/50 of Asians and Europeans! No Eurasians? Actually I made the comment to highlight that it wasn't all Asians in attendance as some like to believe and there is a good mix as one would expect in Auckland. The room is very full. More importantly than the ethnicity of the attendees, how many were sold? Five were sold to the local Thai restaurateurs, and thirteen to the re-branded Masala chain. Well it is a long and tedious affair and I had to leave when I remembered my parking metre was about to run out. It takes about an hour to do four properties. At one point a lady turned around to a stranger behind her and exclaimed, "Is it always like this? This seems more like sales by negotiation rather than an auction". The first property was passed in after reaching over 1.3M above 2017 RV! I saw three out of six properties sell and one get no bids at all. An apartment in Grey Lynn that the sales blurb said was going to sell in the 700s sold for 950k. The RV was around 760k. A nice Epsom home sold for 2.525M, just shy of RV. Two do-ups did not sell and got lowish or no bids. Now this is where I will stand on the thin ice again and comment about ethnic preferences. I believe do-ups are not attractive to Asian buyers. They prefer renovated homes, even old ones, and will pay over the odds for one. It would pay dividends to spend 100k on a do up. You are likely to double that investment. I do believe now is the time to buy a do-up at a discounted price if you want to make some money in residential property. thanks mate, so what you're telling me is the death of the Auckland property market is grossly over exaggerated? Yes, I have always said that. I've been to so many auctions and it is always tedious and hardly exuberant but they do sell and often vendors hold out for longer than I would and they win. The Global financial system, now that is a different story. It's still in intensive care on an adrenaline drip. It could deteriorate at any time. 73 Melanesia Road sold for $3,640,000 so 111% of CV. A pretty decent price, sellers should be happy with that. I'd call it an exceptional price. It isn't an overly large section and it has a creek on one side, but it was beautifully presented for a near beach lifestyle and has one level living which many older buyers prefer. Kohimarama is quite diverse in its housing stock with pockets of very average houses (a lot of leasehold rubbish) and alternately some very nice ones. It appears that the market for the good stock is resilient right now. Offshore income has been excluded from the banks lending portfolio, therefore the demographics have changed considerably. Zachary, besides yourself, is it possible you're surrounded by other anxious tyre kickers? When anxious tyre-kickers are mentioned, I always think of your good self. It would appear that Zachary wasn’t totally surrounded by tyre kickers. I wonder at what point the doomsters will admit that the market resilience in some parts is surprising them? Ex Expat, there is certainly market resilience in pockets. There is still demand from families wanting to enter certain postal codes, including mine. This is now being satisfied by a market loosening up well presented properties that were rare to find only a short time ago. Market is not healthy on a wider scale. There is building inventory. The more time that ticks by, the more the reasoning thats its all connected will prove obvious. Doomsters are not people that will talk your lifestyle away from beneath you. There's nothing threatening about them. They just see a market begging for bigger fools and in great numbers. This is a toppy market that's vulnerable to adverse economic events. Retired Poppy, I look at the prices like those paid for 73 Melanesia Road and think who the heck has that kind of money? If I took the posts in here as gospel, then the answer would be a corrupt Chinese money launderer. In fact it’s more likely to be a local, as it was with the last auction I went to. Like it or not there are still genuine buyers at these levels for all types of properties. Will they be able to absorb all of the properties out there? Who knows? It just seems pointless to me to spend each day analysing noise in the hope that someone will crown you guru if it goes down. Fact is it can only go up or down. It will do both at different stages. A group in front of me missed out on a house and looked pretty gutted. It is surprising how much interest there is in high end properties in Auckland too. A really well presented place in a good location always attracts bids. I don't intrinsically disagree with this and there are always examples available (like Melanesia Ave yesterday) that can be used to 'prove' the point. But, as they say. the plural of anecdote is not data. Listings for Remuera on TradeMe are approaching 150 - well over the November peak last year and being a well presented property in a good area is no longer enough to guarantee a sale. It doesn't look like either sold on the day. Yes, I was careful to write "attracts bids" rather than "sells". You commented the other day there were packed Sydney auction rooms and higher clearance rates. Like Auckland, there might be some limited residual demand for higher quality dwellings. Some areas falling hard, some sitting still and a couple maybe even rising? It's certainly a transitioning market on both sides of the Tasman. As you know both markets are heavily leveraged and vulnerable. I suppose we should expect some cooling if measures are introduced to cool the market. Zachary, a Remuera property was sold for $5.4M at the Bayleys auction today, do you know which one? No, but I would be interested to know which one it was and what the RV is. I think it's this one. Ouch they paid $6.15M in Feb last year! ....I guess they had to sell. The advert doesn't say it was going to auction though, just expressions of interest close today. I'm just guessing...maybe it's not the one! Considering commenters seem to have almost universally noted that the most desirable suburbs are the last to suffer any drop...I'd guess, very few would be surprised. I can’t recall who, but someone thought the leafy suburbs would be first to take a hit because the Chinese money tap had been turned off. Ex Expat, with leafy suburbs, gone are the days where the CV is out of date by up to 50% the day after it was posted. Those heady days are behind us. While its a stretch to suggest the bottom has dropped out, there has been quite a dramatic slowdown in activity. Some slightly up, some down and heaps unsold. I suggest that its early days for whatever this turns into. Would you agree there are many that would like to list but chose not to in this market in the hope of something better around the corner? That's quite some overhang. I asked why the vendor is selling and the agent said it was to move to their holiday home for semi retirement. I have no idea how many others are doing the same and in reality this is a tiny pocket of the market, albeit the one I’m Interested in. Maybe it will collapse next week or maybe it will remain bouyant? I felt sick buying during the GFC and never expected to see the value go up by 150%, but that’s the reality. It could do it again and I still wouldn’t sell, it’s a home not an investment. Agree, it's a home not a speculative investment. Can it not be a home as well as an investment? I think most people, FHBs included, want their home to be a sound investment. This 'homes shouldn't be an investment' attitude is very much a minority and dare I say it, loopy, viewpoint with no depth of understanding. Homes that are not investments will quickly become run down hovels like those ones where single old people live or state houses. Zachary, a home should not be treated as a "flippin" speculative investment. If you do, risks are right now stacked towards disillusionment. Maintaining a home to the best of ones financial ability is common sense. Why risk bigger maintenance expenses down the track? A home can also be an investment. You can have the best of both worlds. Sure, and if it’s an investment you should be subject to tax for the return you obtain from that investment. Right now, it’s not so much an investment as a grotesque tax shelter that causes the burden of taxation to fall disporportionately on income earners. Seems a rather jaundiced view. Houses as investments for everyone is a deeply rooted and treasured cultural artifact for Aucklanders. That’s BS. Not “everyone” does or can own a home. The beneficial tax status of money invested in owner occupied housing results in a gross overcapitalisation by households in real estate assets and pushes prices beyond what they would otherwise be. If home ownership is a good thing (and I think it is) the goal should be to have the home ownership rate as high as reasonably possible (there will still be a significant proportion of people who cannot and should not purchase). The tax burden should not fall disproportionately on wage earners, which is what it does now. The fact a tax break is “cherished” doesn’t make it any less wrong. The fact the tax break disadvantages a significant proportion of the population who earn modes incomes shows that “treasured cultural artefact” for what its is: obvious self interest of the majority at the expense of the minority. Eh...it's a fairly recent effect of policies that have made it a preferred investment / speculative vehicle vs. other investments. Redressing those policies would help remove some of the distortion. Nonsense, forty years ago my parents stressed to us how important it was to buy a home as quickly as possible. Retired-Poppy there are many places where you can live the dream of owning a house that is not an investment. Gisborne for instance. Trouble is not many people want to live in those places. Zachary, DGZ, the economic environment is no longer conducive to speculative flipping. You just to blinded by greed to realize it. Over $2 million. Bungalow a perfect blend. Ever increasing inventories in Auckland, median and avearge prices dropping being reported by real estate agencies, month after month sales numbers are declining on the previous year, auction clearance rates pathetic, banks fighting tooth and nail to get a new customer. Retired -Poppy, the doom sayers have been on Interest.Co for so many years, and they have always been wrong about the housing market. at some stage they were bound to be right, but god it has cost them a lot of money by staying out of the housing market. Those that have invested have done exceedingly well and are financially stable at worst and financially wealthy otherwise. THE MAN 2, No doubt doomsayers have been around here for years. You've been on here a lot longer than I to read it. I am certainly one of them now! In the bigger picture, the bogey in the room is the ground zero of money stimulus. In the event of another GFC, there is no quick recovery no matter how much cheap money is thrown at it. Deleveraging will be the dominant factor. Does it render those rich in assets shy on cash, in a highly precarious situation? - more than likely. It's a pretty illiquid dilemma to find oneself in. By that stage it's too late - your stuffed. Risk taking more than you need, chances stacked you will wind up biting more than you can chew. The number one issue I deal with is liquidity or more precisely a lack of it. That's why I cant bring myself to go longer than one year on TDs.